For the thousands of women every year who suffer the pain of multiple miscarriage, there is nothing worse than being told that, despite the multitude of medical procedures undergone in a search for some sort of explanation, it is extremely hard to establish a definite reason for their repeated loss. However, good news is on the horizon, as researchers from the University of Warwick have now shed light on a possible cause for multiple miscarriage for the very first time. Leading researcher Professor Jan Brosens and co-author Professor Siobhan Quenby’s ground-breaking research aims to give hope to every woman who has sought answers to the unavoidable questions which linger after each miscarriage, and continue to increase with each recurrent loss. The same team at Warwick are also looking to turn their astonishing findings into a potential preventive treatment. Leader of the research team, Professor Brosens, has spent many years investigating the role of steroid hormone signalling in the human endometrium, focusing on the implications for reproductive disorders. His primary scientific interest is improving the management of miscarriage, which is the most common complication of pregnancy – one in five pregnancies are thought to end in a miscarriage, while one in 100 women attempting to conceive suffer recurrent miscarriages (defined as the loss of three or more consecutive pregnancies). Brosens obtained a PhD from the University of London in 1999, working on the mechanisms underpinning the preparation of the womb lining (endometrium) for pregnancy, a process called decidualisation. In May 2011 he was appointed Chair of Obstetrics and Gynaecology at the University of Warwick. His co-author, Professor Quenby, is Director of the Biomedical Research Unit in Reproductive Health, Professor of Obstetrics at the University of Warwick, and honorary consultant at University Hospital Coventry and Warwickshire NHS trust. 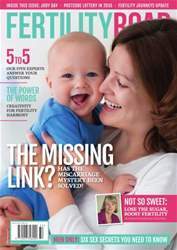 Quenby has undertaken two decades of research into recurrent miscarriage and dysfunctional labour; she has published over 75 original articles and numerous book chapters on this subject, and serves on several international committees dedicated to the study of pregnancy, labour and reproductive health.